Jio is the most popular mobile operator in India and its free offer will be end soon. So we need to recharge for Jio uses. 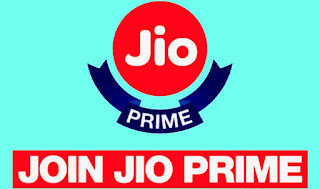 Its great offer for ''Jio Prime'' membership only Rs.99. I am trying to recharge evening today. I was tried to recharge Rs.99 for ''Jio Prime" through www.jio.com and its almost done means debit card payment complete but there was saw not successful at last moment. Then I was thinking why not successful but payment done? So I was called jio customer care first time and they register a complain. Jio care asked few question like when you recharge (means exact time), transaction id, which card(debit/credit), which bank etc after she said we are solution this problem between 48 hours. Lets see what happened..........4th march this problem was solve and I have get another JioPrime membership. When your recharge done you can see after login this type of summary on your windows screen and there was no option for Rs.99. You can see recharge option and after click on recharge you can see your all recharge option. Click to know that recharge options. You can also try to recharge your myJio app.